2013 was an incredible, fast moving year. 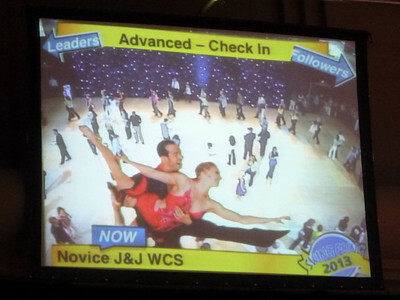 We exposed hundreds of new people in the Connecticut area to Hustle and West Coast Swing. We were invited back to perform at the Ailey Citigroup Theater. We had new dancers from Norwalk Community College. 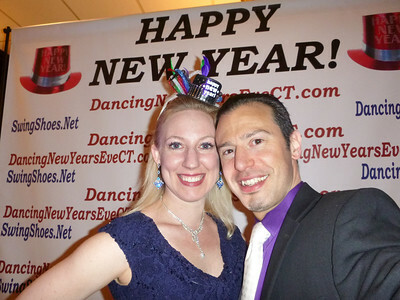 We hosted our second annual Dancing New Year's Eve CT event. And, we announced our latest addition to the SwingShoes Entertainment production team. 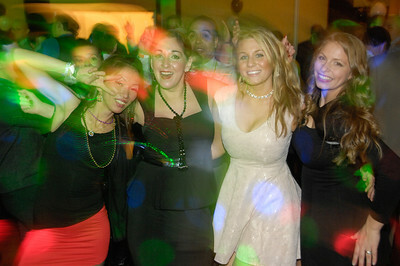 We started this year with our first Dancing New Year's Eve CT event in Stamford, CT. This event brought about 150 people together to ring start the year. 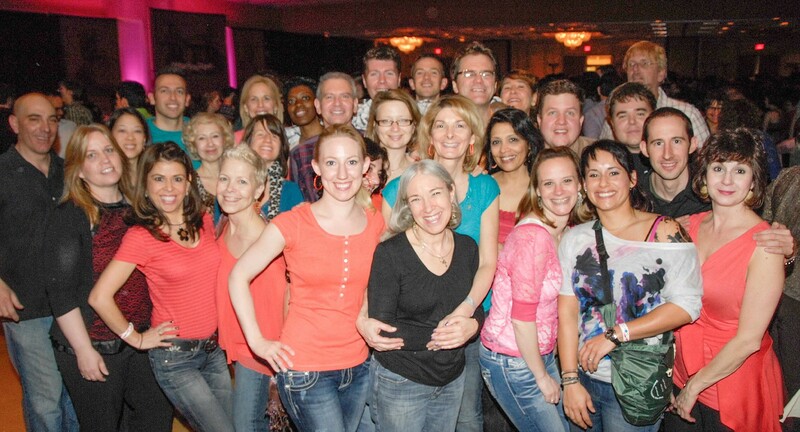 Twelve months later we concluded 2013 with our second Dancing New Year's Eve CT with over 200 people in attendance. The 3 dance classes prior to dinner were complete packed. The dinner was sold out and the party went till 2:30am with people still on the dance floor. In February, we partnered with John Porter to host the Western Connecticut Outdoor Adventurer Meetup Party. 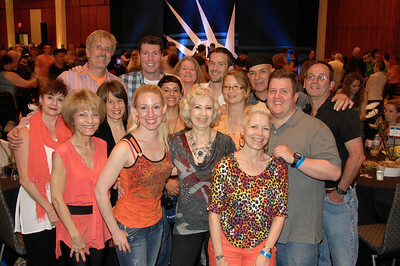 We exposed many new people to West Coast Swing and our dance community came out in full force to dance. John Porter was an awesome host at his event. He personally greeted the attendees and danced with many newcomers. Anna and I enjoyed teaching the West Coast Swing "Crash Course". And I loved DJing a fun party where people tried partner dancing and mingling with new faces. The competitive season started in March with MADjam, the mega-event in Vienna, VA. This event is one of the major benchmarks in the world of dance. It makes dancers feel like rock-stars and its level of organization is second to none. From its lighting design to its live-stream broadcast, MADjam makes you feel like you won, even if you just watched your friends compete. Boston Tea Party was our first event in MA. This friendly event is a great meeting place for West Coast Swing and Lindy Hop dancers from the New England region. Bringing Lindy Hop and West Coast Swing together under the same roof truly gives it a great Swing feel. 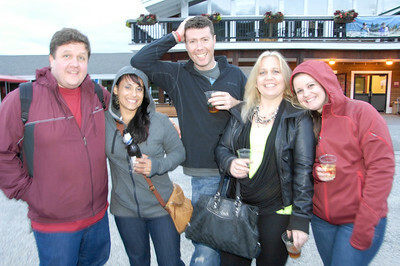 In May, we went to our only dance event in Connecticut, Swingin Into Spring. 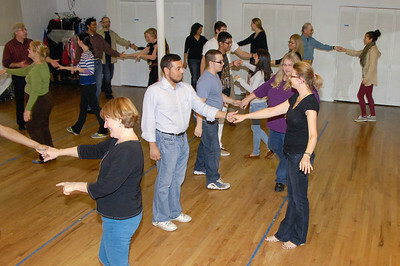 This beginner-friendly event in Hartford, offers great workshops, plenty of social time, and early-evening dancing. It's a great event for our dancers to attend as a cohesive community. In 2013, we missed getting the largest group award by 2 people - we can do better than that if we think about our community as a whole. Let's be ready for 2014! 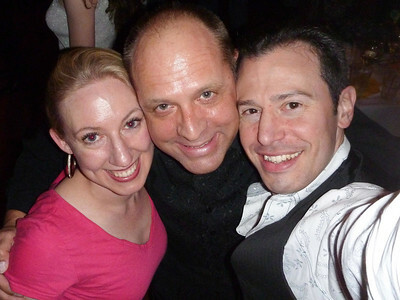 In June, the serious dancers attended Liberty Swing, the biggest event in the New York City area. Host, and champion dancer, John Lindo knows how to combine serious competition with serious fun, in a classy package. Swing Fling in August is hosted by David Moldover, the same "captain of the ship" as MADjam. Swing Fling, with its blue-colored theme brings West Coast Swing and Hustle together for a major fun event. As much as it's still serious, it's the celebrity-feel of the event that creates the magic. The change in the weather also brought about a change in scenery when we enjoyed a scenic drive to Vermont Swing Dance Championships. This burgeoning event was one of the most friendly and intimate dance environments we've attended in years. Fun times in a tent at the base an un-snowy Stratton Mountain with a live band was a special highlight. To close the competitive season there is no other event than Swingin New England in MA. This event is a perfect way to end the season with friendly New England dancers, fun competitions, hysterical bookend dancing, and the most sincere event directors in the country. Me, U, & The Music! For our third consecutive year, Kat Wildish invited our Connecticut West Coast Swing and Hustle dancers to perform at the Ailey Citigroup Theater as part of her Performing in New York Experience. This year, we opened all three performances - a very prestigious place in the line up. Our routine would set the tone for the entire evening of dance. All three of our performances were excellent, getting better and cleaner with each run. Our first performance, had people clapping out loud and cheering for us. Although, there's no room for over-sensitivity as the choreographer and director of a production number, I am incredibly proud of the dedication and perseverance of all of our students who participated. It's incredible to watch it all come together. And once again, I will say, "I do it all for the cast party". In early November, Anna and I announced the beginning of our finest production to date. Our little bundle of joy is expected in May of 2014. We are extremely excited and looking forward to cherishing all the memories until we meet our newest member of SwingShoes Entertainment. In December, we had a number of students from Norwalk Community College join our weekly classes. Their enthusiastic and youthful energy breathed fresh life into our regular classes. Best of all, it exposed many new people to our great community, and fun dances. Special thanks goes out to Sheldon for inviting the Norwalk Community College dancers to our classes. There's nothing like Salsa to get your poly-rhythmic groove on. 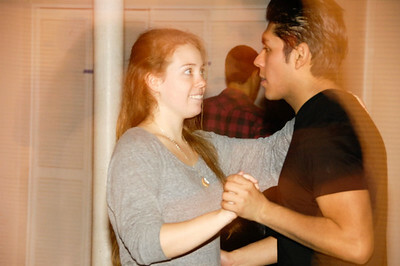 In December, we introduced Salsa to our weekly mix of dances. Salsa is one of the featured dances at our year-ending Dancing New Year's Eve CT event, so we wanted to make sure our regular dancers were able to give it a try before the big night. Our Salsa classes were so well attended, we have decided to continue them in January 2014. And just like it started, it concluded. Dancing New Year's Eve CT started the 2013 and Dancing New Year's Eve ended 2013. This year, we had over 200 people attend, dance classes were packed, and dinner was sold out. 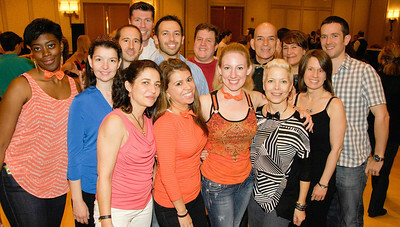 We had dancers from Connecticut, New York, New Jersey, and Massachusetts. Everyone dancing together. Everyone having a good time until 2014 had begun. By the time the party was over, people were telling us that they were ready for Dancing New Year's Eve 2014. We're almost ready too...but first it's time to dance.